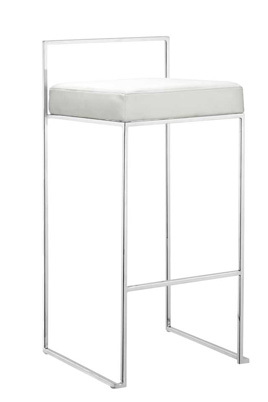 The Plush Barstool features a leatherette cushion and a solid steel chrome frame and is available in white. We also carry the matching Plush Ottoman. The Plush Barstool is also one of the stylish components of our Shift Bar Grouping.